I had arrived at Sheen Suppers, one of the rapidly growing movement of supper clubs or underground restaurants. Essentially, they are a restaurant run in somebodies home with a suggested "donation" to cover costs. Some are run by ex chefs trying to keep their skills sharp, whereas others are run by enthusiastic home chefs who use them as a vehicle for indulging what is essentially a hobby. Lara (chef proprietor) falls into the latter category and runs Sheen Suppers very much like a local restaurant. 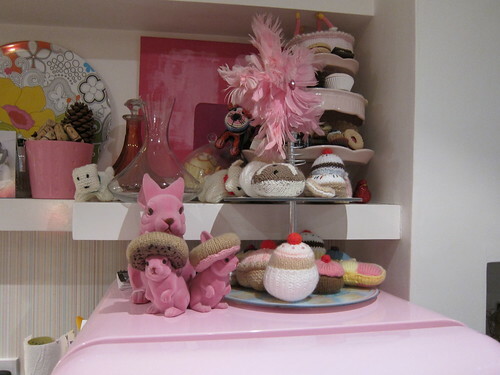 Many of her guests live in the area and learn of her supper club through word of mouth. Having "met" her myself over Twitter, I finally got round to booking in my table, and I tell you what, I was so glad I did. Serving a four course meal with matched wines, what ensued was one of my most enjoyable dining experiences this year. By the time the first course arrived before us, "Maino" (partner and Maitre'D) had managed to ply us with a fair amount of wine. This did not detract from the glorious pate placed before us. Prawn and pancetta, a strange combination for a pate I thought, was quite delicious. 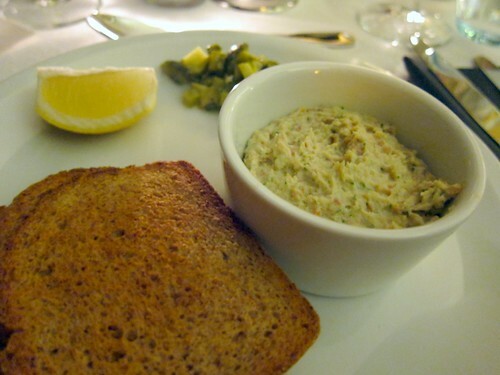 Smooth, with more of a consistency of a rillette, came with cornichons and toasted bread. 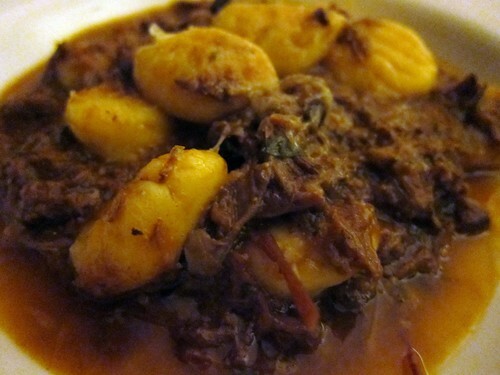 The mains of beef shin ragu and homemade gnocchi again hit the spot. By this stage, I wasn't surprised I was enjoying my food so much, the food had been carefully prepared and was good hearty restaurant quality food. The gnocchi , in particular, caught my eye. Small fluffy potatoey balls of goodness and a perfect foil for the rich ragu. Oh, and the wine. This time a red, I really shouldn't forget the wine. The cheese interlude was a small break from the loveliness that was to punctuate our meal. 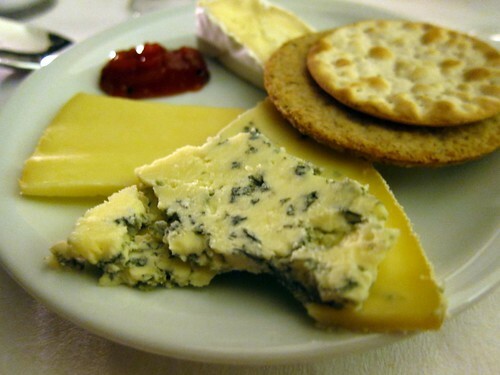 Good cheese, a blue with a cheddar and a brie, all with a smattering of oat biscuits. But the dessert, wow. As Lara put it, this was proper filth, in the best possible way. 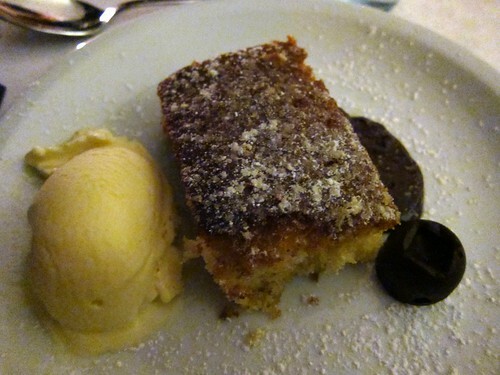 What we were presented with was a light orange sponge with a decadent chocolate sauce, vanilla ice cream and a very naughty chocolate orange cup. Polished off within seconds with a lovely port to accompany (as well as some of Maino's private stash, to keep us ticking over). I do feel a bit odd about commenting on what is essentially someones hobby. Yes, we paid for the privilege but I cannot expect that Lara made much if any profit on the evening. I think I drank the "donation" in wine alone. Criticising the evening would be like leaving an unnecessary acerbic comment on somebodies blog, but even so, thankfully Lara and Iain gave me nothing at all to criticise. It had been a fantastic night with great a value meal of the highest quality, all topped off with a serving of warm hospitality. I may seem gushing, but I only reserve it for the places that deserve it and even the schlep back to central London in the wind and the rain had not put me off. I will make the journey back to East Sheen, the sooner the better. Sheen Suppers (website) - In East Sheen somewhere. Pls contact Lara for details.